Anyone who watched KTRK abc13 decades ago, would remember the afternoon children's show host who was on the air for nearly 20 years. Maybe, you got lucky enough to appear on Kitirik's show for your birthday! Bunny Orsak, 86, was the person who donned the black cat costume, that is still such a great memory for a subset of Houston TV viewers. For those who don't know, KiTiRiK was named after the station's call letters KTRK. Why a black cat? Well, some consider the 13's channel assignment unlucky, hence the former mascot and this famous kid's program host. 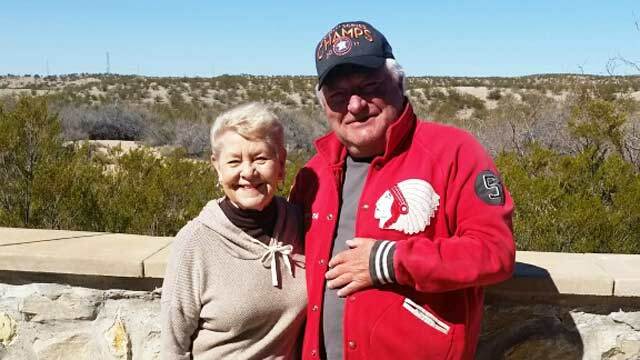 "I recently spent a great weekend with KITIRIK and her husband Larry at one of their homes in New Mexico," former KTRK sports anchor Dan Lovett told mikemcguff.com. "Bunny Orsak is now 86 but remains to me the Grand Gal of them all on Houston TV." Another great past KTRK talent is sportscaster Dan Lovett (he went on to work in New York for ABC after Houston). Currently he is on a U.S. Route 66 trip to the West Coast. The other question is will he run into Buz Murdock? I can just imagine the catching up Orsak and Lovett must have done during their visit. 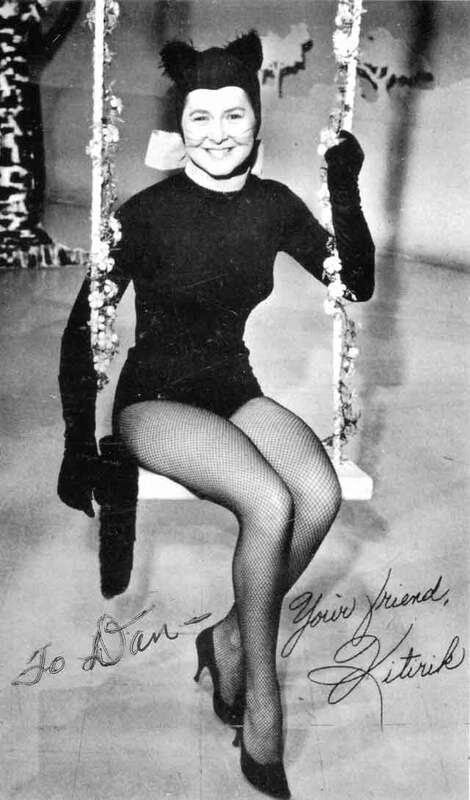 "[Orsak] went on the air with the station back in 1954 and left in 1971, when the new owners Caps Cities Broadcasting axed her show in favor of Leave it to Beaver reruns," Lovett recalled. "The best they could do was give her $200 severance for all of her years of loyalty to KTRK. We shared many other stories, but I won't mention names to protect the guilty at 13 (including me)." Former, longtime KTRK anchor Dave Ward told me back in 2016 about the reaction Kitirik's cancellation received. "And when the station decided to take Kitirik off the air, oh, my Lord," Ward told me. "We had mothers and their children protesting, carrying signs around the front of the building, you know. 'Unfair. Keep Kitirik.'" Check out Lovett's great auto-biography Anybody Seen Dan Lovett? : Memoirs of a Media Nomad for more Houston TV tales.